A succulent wreath is simply a wire frame filled with sphagnum moss and a selection of succulent cuttings (and yes, they are real plants!). You can hang them up on a wall, or on your front door, or lay them flat and use as a stunning table centre piece. They are incredibly easy to make and if watered regularly, can last for many years. Amaze your friends with your very own living piece of art! Here's how to get started. The wire frame, sphagnum moss and the succulent plants can all be purchased from Fickle Prickles. The thin wire will be available at your local independent hardware store (support your local independents!). 1. Hydrate your Sphagnum moss. Sphagnum moss comes in a dehydrated brick, and to use it in your succulent projects, simply follow the instructions on the packet to hydrate. 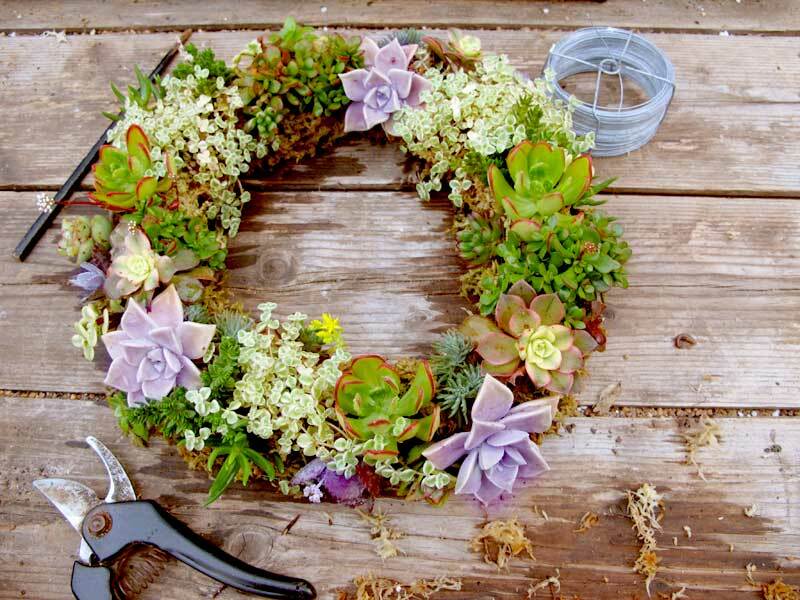 Usually a 150g block will expand up to about 10 litres which should be enough for two succulent wreaths. 2. Fill up your wire frame. Simply take small handfuls of the hydrated sphagnum moss and mold it on top of your wire frame. Be very generous with the moss as you want your base to be quite solid so the roots of your plants have something to take hold of. Aim for a mound that is about 8cm tall. 4. Clean it up. 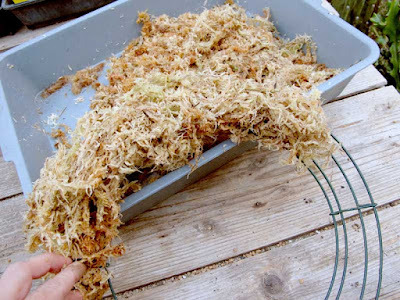 Tuck in any straggly, loose pieces of sphagnum moss. 5. Prepare your succulents. You can use cuttings consisting of the tips of your succulents, or you can also use rosettes. Combine as little or as many different species in your design, the choice is yours. To prepare them, simply remove some of the lower leaves so you have a stem of around 1.5cm - 2cm. You can also use small succulents with roots (about tubestock size). Simply remove them from the pot and trim the root ball to a manageable size for your wreath. What's great about using rooted succulents is that the time it takes to establish your wreath is far less than if you use cuttings. 6. Plant your succulents. Use your chopsticks to make a small hole and simply place the stem of your cutting into the hole. repeat until the frame is full. TIP - Create 'U' shaped pins from wire to secure cuttings into place. 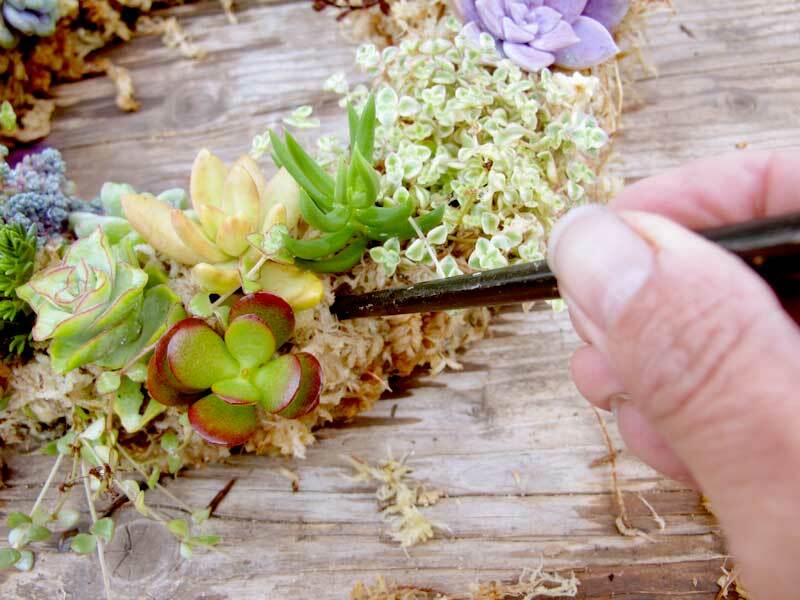 To plant in tubestock succulents with root balls, follow the same process, just make the hole a little bigger. 7. Grow them up. Lay your wreath flat until your cuttings are well rooted. This will take around 4 - 6 weeks, depending on the time of year. Keep watering them regularly during this time and don't allow it to dry out. Once established (give your cuttings a little tug and of they don't budge, they are established), hang up the wreath onto your favourite outdoor wall or lay flat and use as a table centre piece. 8. Maintenance. Keep your wreath in a partial shade position - This will help to stop your wreath drying out too quickly. Water your wreath once a day, and water thoroughly. Prune your wreath regularly to encourage new growth and keep your wreath nice and densely covered. You can fertilise your wreath with a seaweed and blood and bone solution, which you can buy from your local nursery. Use as directed. As you can see, it is quite simple to make a beautiful piece of living art! And it an art piece that will keep on giving year after year with regular watering, fertilising and pruning. 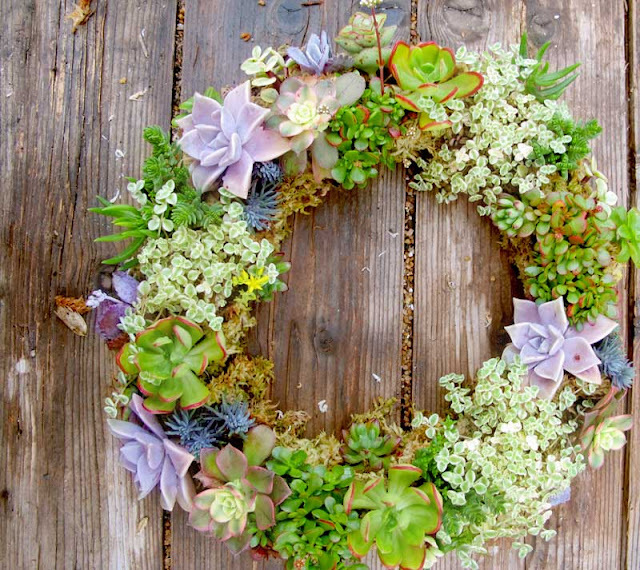 See our blog post 'My First Succulent Wreath' for more info on this particular project.